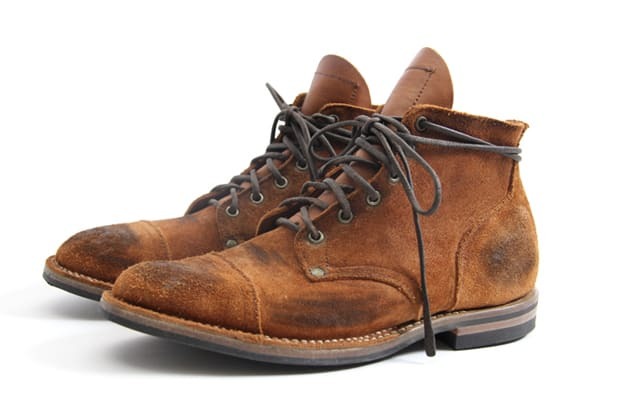 Viberg definitely knows how to make a great boot, and Nigel Cabourn definitely knows how to make great menswear. Thus, what do you get when the two brands combine? This great Service Boot! The British designer has taken the iconic workboot design, gave it a brown suede outer and added faux "damaged" details because nobody wants boots that are too clean, right?